As a facial plastic surgery specialty clinic, we commonly see rhinoplasty patients who wish to improve upon the results of surgery done elsewhere and are looking for a revision rhinoplasty expert. Reasons for dissatisfaction with previous surgery range from asymmetries and under correction of previous deformity to over correction and associated nasal obstruction. Revision rhinoplasty is widely considered one the more complex procedures in plastic surgery, and requires careful planning and realistic objectives.The procedure may involve grafting of cartilage or other materials to restructure and strengthen the nose, as well as to improve breathing. 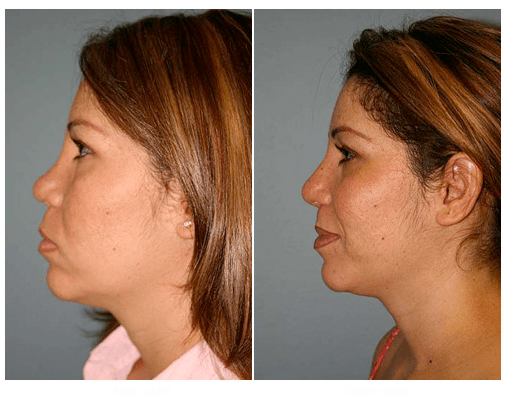 For a Revision Rhinoplasty in San Diego or La Jolla California contact Dr. Roy David today at 858.658.0595. At our San Diego practice, a key first step with revision rhinoplasty patients is to identify the problems. Usually, our patients point out the obvious concerns: a persistent hump, a scooped out bridge or “saddle-nose” deformity, prominent cartilage, an overly wide tip, etc. Other problems require a careful physical examination and may include alar retraction, persistent deviated septum, nasal valve collapse, scar tissue, etc. Once the patient’s concerns are identified, along with other conditions that may require correction, a surgical plan is formulated. Prior surgery often leaves scar tissue beneath the skin, making the operation more complex; however, many patients are excellent candidates for revision and achieve outstanding results. Computer imaging is used to enhance patient understanding and surgical planning. Revision rhinoplasty may require more operating time than primary rhinoplasty, as the dissection and sculpting need to be meticulous. Grafting is often used to rebuild the nasal bridge or to add strength to the nose. Cartilage from the nasal septum may be used, but if this is not sufficient ear cartilage can be used with minimal scarring and no change to the appearance of the ear. Another common grafting material from the body is temporalis fascia. This a connective tissue covering over the temporalis muscle (the muscle that serves to close the jaw). It can be harvested through an inconspicuous incision in the hair – bearing skin, and serves as an excellent smoothing or camouflaging material in the nose. Occasionally, implants may be used or artificial dermis(similar to the deep layer of your skin) may be added to thicken nasal skin that has retracted from previous surgery. Recovery time is similar to primary rhinoplasty, with the exception that swelling may take slightly longer to fully resolve.